Atomic Kitten Salon is a “Retro” hair salon with an all new Mid-Century Modern interior decor. Our hair stylists specialize in unique designer looks, providing clients with the latest modern day trends or the classic “pin-up” styles from the past. 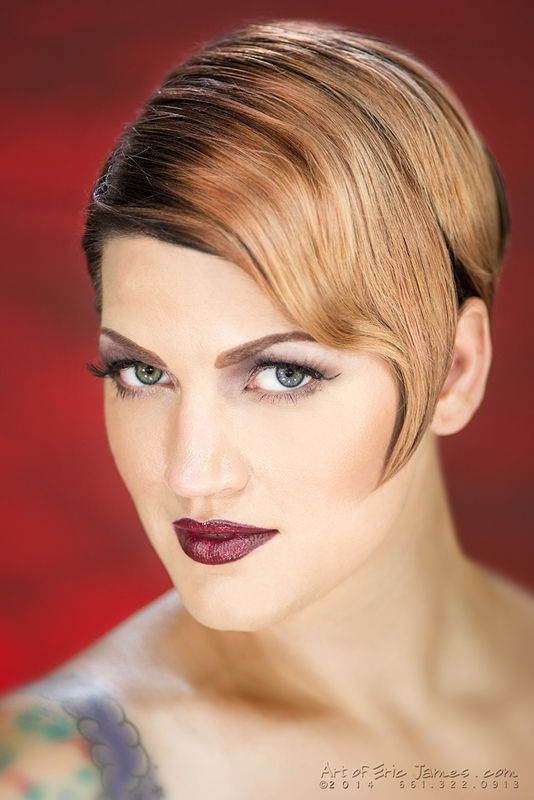 The Atomic team of stylists can create the exact look you need for whatever the occasion. Atomic Kitten salon also provides full service nail art manicuring and has a certified esthetician available for your skin care needs. 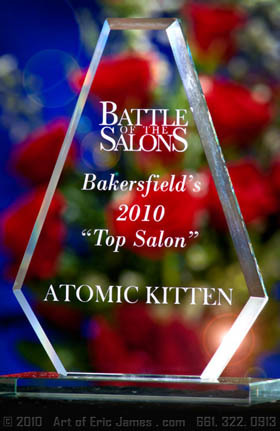 On June 17th 2010 Norma Jean’s Atomic Kitten Salon became Bakersfield’s “TOP SALON” as the grand prize winner of the prestigious Battle of the Salons competition. Battle of the Salons is a competitive runway event, held in a single elimination tournament style, winner-takes-all, extreme hair styling competition judged by a panel of the industries top stylists. 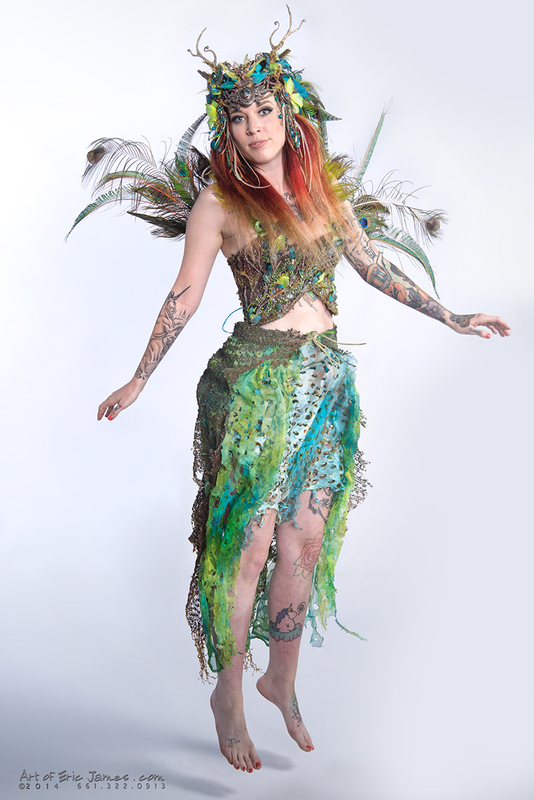 For six weeks, competing Salons worked with their staff and models to come up with the most amazing and creative hair styles based on randomly selected themes. Each week, competing salons were then critiqued and awarded points based on dramatic hair themes, make-up application, and model’s ability to work the runway. Atomic Kitten Salon prevailed as the most creative and detail oriented of all competing salons, and consistently scored high for the use of “real” hair and true hair colors in the majority of their creations and was one of the only salons to receive several “perfect” scores. …Below are videos of the winning performances from each of the competitions. 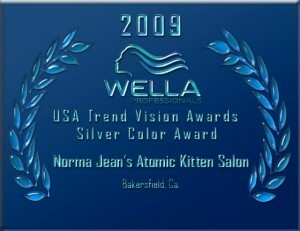 In 2009 Atomic Kitten Salon placed second in the Nation during the Wella Trend Vision Awards in the Color Division. A delegation of several Atomic Kitten Salon staff members were provided an all expenses paid trip to Berlin, Germany to participate in the International Wella Trend Vision Awards (ITVA 2009) and to attend a series of special Wella high level training classes in color application and hair styling.